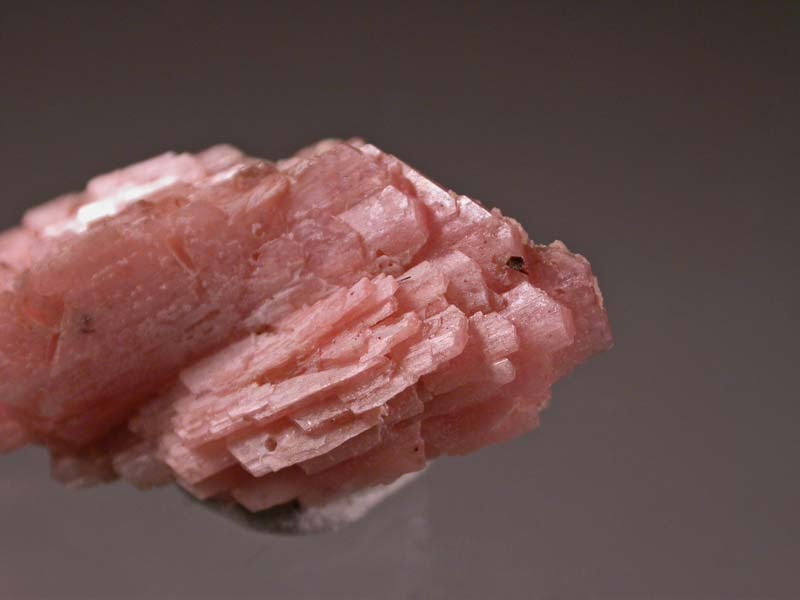 A doubly-terminated, light pink, composite crystal of serandite. The front is void of any associated minerals, except a very fine partial druse of very tiny calcite(?) 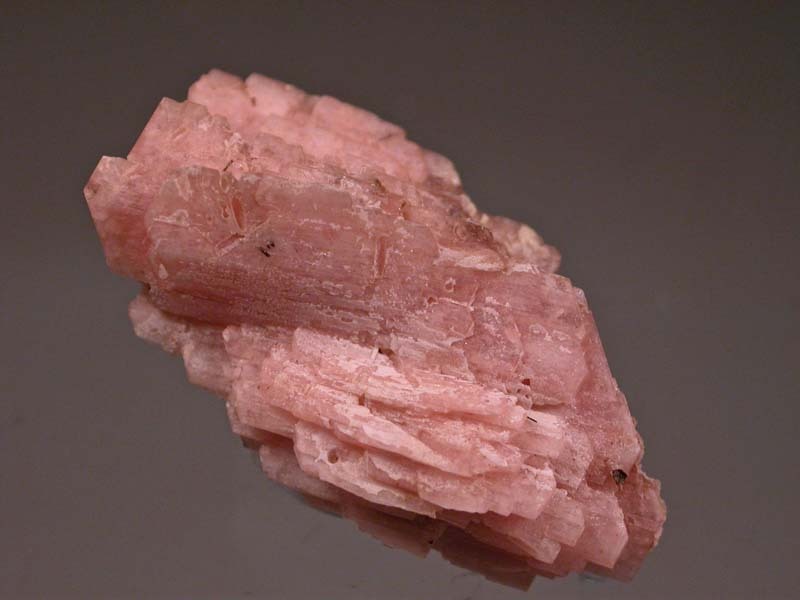 crystals, while the back has a druse of tiny calcite crystals. There is no obvious point of attachment but probably it was suspended in the calcite. Very nice thumbnail specimen of this rare mineral!